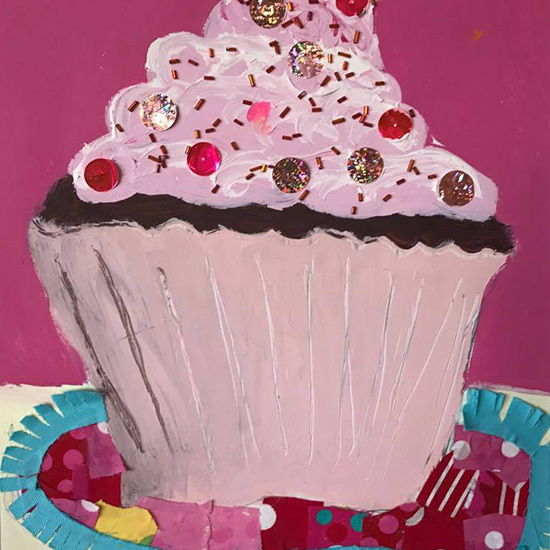 Enjoy all things delicious with this fun and creative art lesson in a box. Design and create your own yummy Cupcake artwork: included in this pack is a quality art canvas, step by step how to instructions, drawing chalk, fabrics for collage, quality acrylic paint in the primary colours plus white and how to mixing chart to create the perfect colours for your work. You will find the correct sized brushes, glue and a mixing plate, as well as sequins, glitter and trim for the perfect finished artwork. Click the colourway that sounds like your favourite colours and we will get that ready just for you.